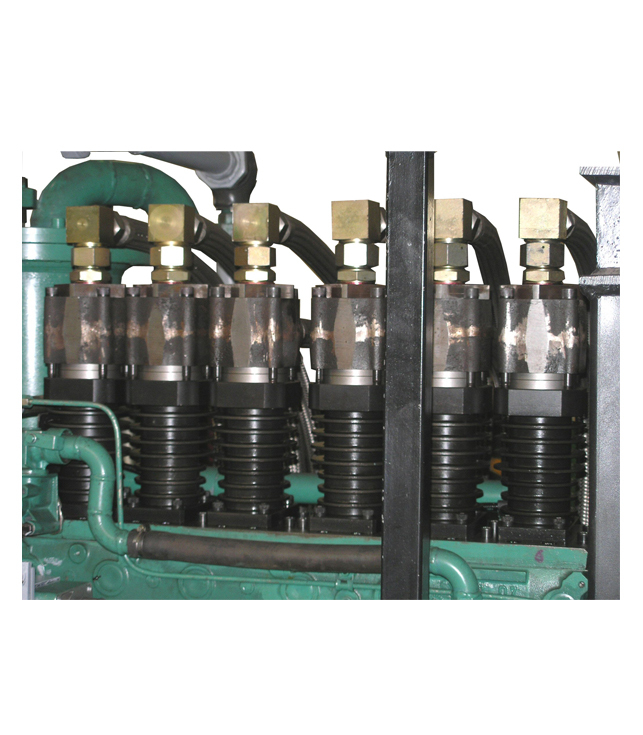 An air booster is basically an air compressor which input is the air supplied by 2/3 portables at 25 bar and the output is the same air at 60/75 bar. 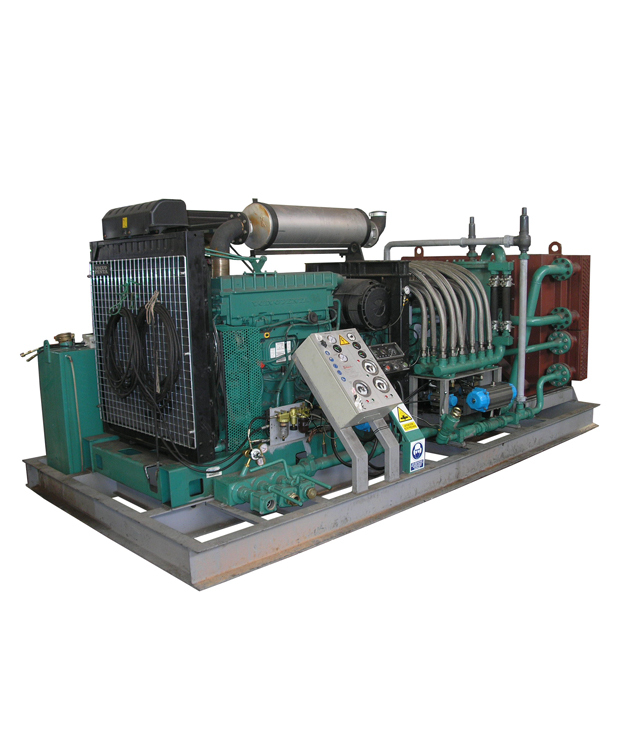 One complete installation consists on a diesel engine-flex coupling – third compression stage block – pre/ after cooler – remote control – safety systems on temperature – pressure – bypass and a control module. Everything on a container or skid. 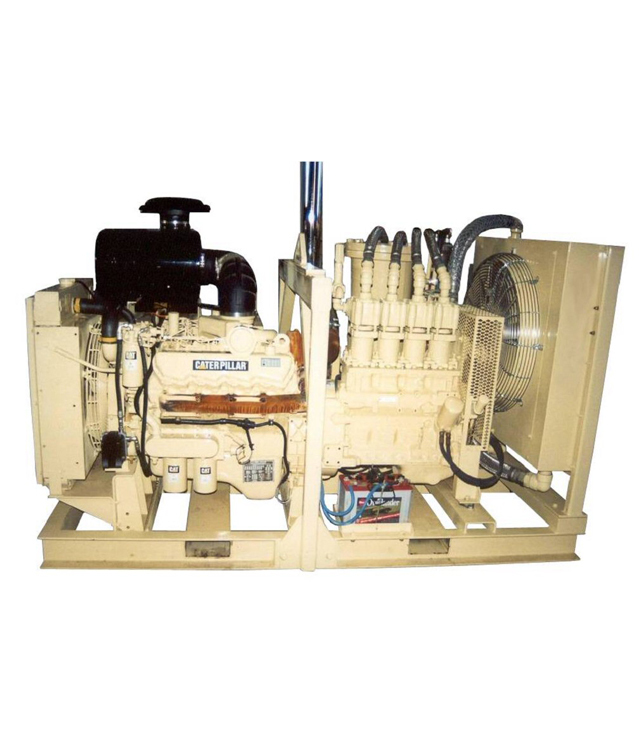 The remote control is very competent to make unit safe and easy for drilling operator.